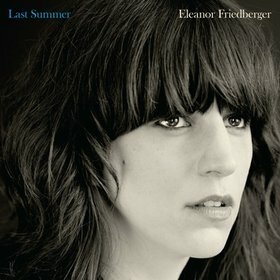 As anyone familiar with the Fiery Furnaces will know, getting through the siblings Friedberger's music can often be struggle, albeit a rewarding one. With brother Matthew already releasing a string of solo releases, it was only a matter of time until sister Eleanor would do the same thing. What a time to do it too! Her debut album Last Summer unravels like an open diary: it details her memories in New York via some of the most soulful and nostalgic tracks you'll hear this year. 'My Mistakes' is sincere and catchy few minutes of 60's girl group soul, 'Roosevelt Island's dazzling bass evokes spirits of Motown and 'Glitter Gold Year' is three-minutes of lustful vividness this side of Lionel Richie. Watch out Matthew, 'cos Eleanor's got a few tricks of her own. Taqwacore: The birth of alternative Islam?